Some people come into your life and change you forever—thanks, bestie. I wasn’t expecting you when God placed you in my life. I had my friends. I had my people. 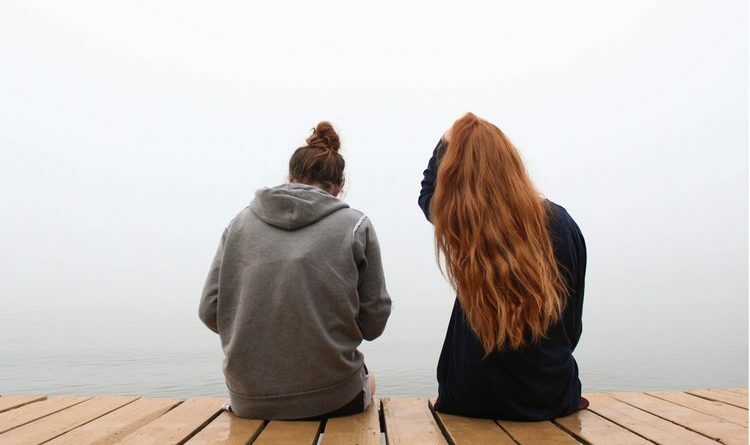 I wasn’t exactly open to the idea of new meaningful friendships because I had the ones I needed, and it didn’t seem like I really needed anybody new. Thank God that was false. Sometimes you meet people and you just know that you’re going to be good friends with. Sometimes you meet people and you realize that there is no such thing as chance. I think God has a funny way of making it seem as if the things that happen to us are by chance, but honestly, that’s a load of crap. If the biggest moments of our lives were left up to chance, then I believe that would make God out to seem as if he didn’t care. It would make it seem as if He was truly abandoning me and making me face some of my most important seasons fully isolated. But you, best friend, are a true testament to the fact that God doesn’t just leave such important aspects up to chance. Thank you for taking a chance on our friendship, and thank you for allowing me to take a chance on what I didn’t realize would be the most impactful friendship in my entire life. Thank you for being real with me. Thank you for not sugar coating things. Thank you for telling me when I have a bad attitude. Thank you for loving me through my mistakes. Thank you for supporting me in my decisions, even if it isn’t always the decision you would make. Thank you for wanting the best for me, and for making that your true intent behind the words that you say to me, whether they be constructive criticism or encouragement. Thank you for being a goof with me. Thank you for putting me first. Thank you for seeing the importance of our friendship. Thank you for making time in your schedule for us to just sit and do homework, eat Mexican food, or sit on the porch and listen to music that emotionally wrecks you. You’re one of a kind. You’re a shoulder to lean on. You’re a safe place. You’re a free spirit. You’re rough and tough, but your heart melts for the people you love and it’s obvious. You’re more than meets the eye. You are worth getting to know. You are worth loving. You pursue people. You are passionate about your future. You are everything that a person needs, and I really thank God that for some reason you continue to choose to be in my life. Thank you for literally dragging me up my mountains of fear when I want to stay exactly where I am at and wallow in the sadness. You bring joy—true joy—wherever you go. You are my best friend, confidant, and biggest fan. You will be the Maid of Honor, Godmother, and fun Aunt. I used to think lifelong friendships weren’t really a thing. It just seemed like people always grew apart and forever was never a point that was attainable. Best friends forever is a cliché phrase that is continuously overused nowadays (sometimes, I even used to make light of it), but thanks for making that a reality. You are truly the best friend I could have asked for. So thank you for it all. You make life more fun, and I couldn’t thank God more for making an incredible human, friends with me.